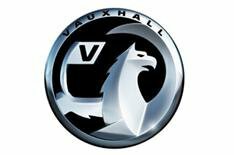 Vauxhall jobs saved in union deal | What Car? Hundreds of British jobs have been saved at Vauxhall's factories in Ellesmere Port and Luton, after an agreement between the Unite union and Vauxhall's new owner, Magna. Magna had planned to cut 1200 jobs in the UK, and while 600 posts will still be lost, the cuts will be through voluntary redundancies. In return, workers have agreed to a two-year pay freeze and pension cuts. Business secretary Lord Mandelson said the deal offered a 'much better outcome' for the UK workers than the original offer. However, he said that talks were ongoing to ensure that the millions of pounds of investment from the Government would be backed with guarantees. The Unite union's Tony Woodley said that prospects were good for the future of the two factories until 2013. Tony Woodley credited Lord Mandelson's involvement in helping to secure the deal. 'Without Lord Mandelson's personal help, we would not have secured the deal we have,' he said. Canadian car parts firm Magna is in the final stages of buying Vauxhall and Opel from US car maker General Motors. It plans around 10,000 job cuts across Europe, with Belgian and Spanish operations likely to suffer most cuts.